Happy Fun Science Friday – Ice Cream!? 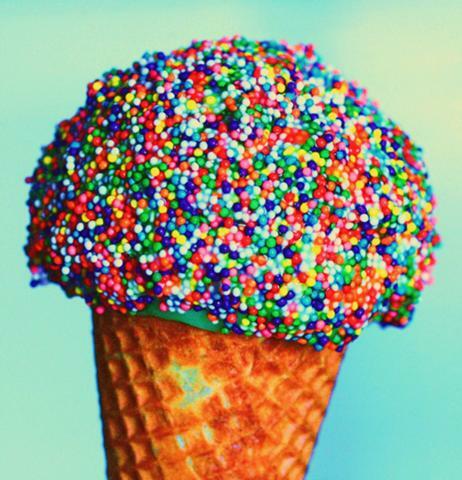 I scream, you scream, we all scream for ICE CREAM!!!! That’s right ladies and gentlemen, this FSF is about a childhood (or for some, adulthood) favorite, Ice Cream! This delightful treat was created by inventor Charlie Harry Francis of Lick Me I’m Delicious, a boutique ice cream company that specializes in unusual flavors, like lamb, chili and beer. Francis teamed up with some innovators in China who synthesized the luminescent protein (Aequorin ) that causes some Jellies to glow. 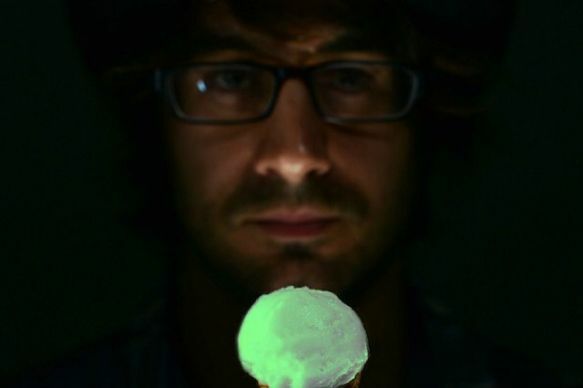 The calcium-activated proteins react when they are agitated which results in the ice cream glowing when you lick it! Eureka! The taste of the ice cream is unknown, and it is debatable if the ice cream is safe for consumption, though Francis has stated that he has tried it, and isn’t glowing… yet. Either way, do not expect this unique treat to make it to your neighborhood ice cream truck anytime soon. A single scoop of this stuff is valued at over $200. YIKES! A prohibitive cost that would exhaust a summers worth of lawn cutting or car washing for most youth. That makes for one expensive, glowing treat.